In Central Oregon, that friend's name is spelled S-C-O-U-T. 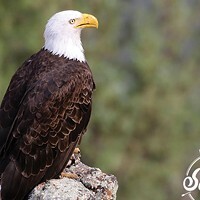 Scout is brought to you by the same people who dish out the best recommendations for food, drinks, events and fun in Central Oregon every week. 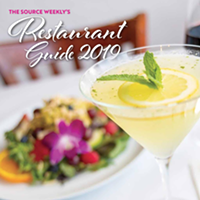 The Source Weekly's staff has their fingers on the pulse of what's happening in Bend, Redmond, Sisters, Sunriver and beyond, bringing locals and visitors fresh new info every Thursday. Let Scout, our annual visitor's guide, be like the friend who serves as your compass to what's cool in Central Oregon, finding rad spots to Eat, Drink, Go and Play. Then look for our weekly publication in the blue Source Weekly boxes you'll find all over the region, offering the most up-to-date, free information about events, concerts, shows and other stuff happening right now, during your visit. For the past 20 years, the Source Weekly has been like that cool friend, telling people where to go to find cool things. With Scout, you've now got two friends in Central Oregon who have your back. Look at you. You just got here, and you're making friends already. Want to know what's happening tonight? This weekend? Next week? 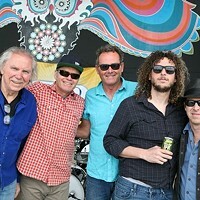 See the most comprehensive events calendar in Central Oregon right here, on calendar.bendsource.com. 10 Things Every Newcomer Should Know. A curated map of spots we recommend. A primer on local flora and fauna. Info on the outlying cities of Redmond, Sisters, Sunriver and Prineville. 10 Spots for Foodies. Five Awesome Burgers. 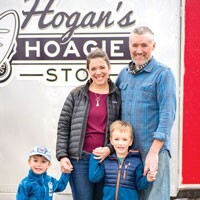 Our Restaurant of the Year, Food Cart of the Year and Rookie of the Year. And restaurant and happy hour listings to help you find good eats. Central Oregon's biggest events. Places to take the kids. Books by Bendites. And a recap of the businesses named "Best" in Central Oregon in our annual Best Of readers' poll. A primer on floating the river. Where to hike. Where to bike. Deets on our ski/snowboard options. And helpful tips on parking fees on trails, snoparks and more.